Do you have a question or a comment for the Basic Brewing guys? 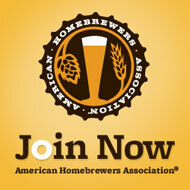 Or are you the owner of a home brewing shop who would like to sell the Basic Brewing DVD? Then drop James Spencer a note at his e-mail address: james@basicbrewing.com. BasicBrewing.com will never share, sell, trade or use your information for any other purpose than to communicate with you regarding our product. We thank you for putting your trust in us.